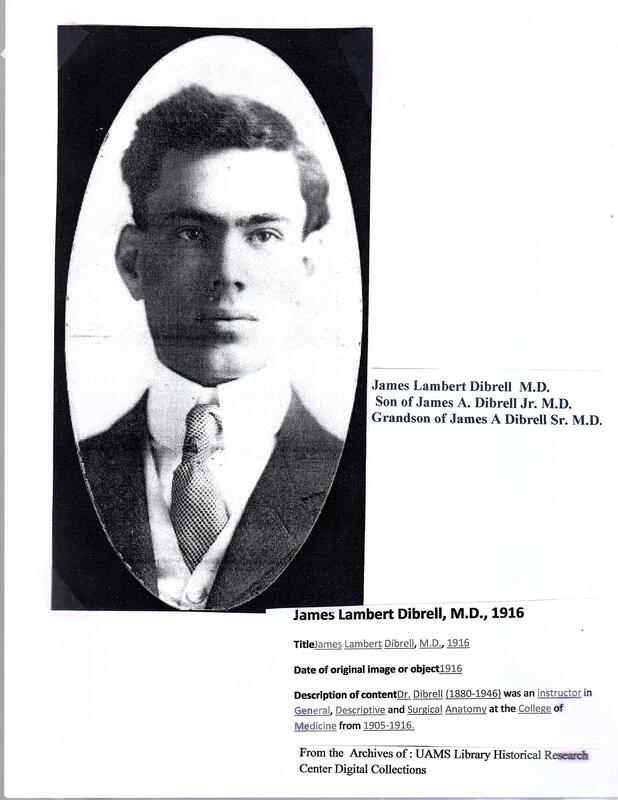 Dr. James L. Dibrell was born in 1880. He was the son of Dr. James A. Dibrell, Jr. and the grandson of Dr. James A. Dibrell, Sr. He was the third generation of the Dibrell family of doctors. He passed away in 1946.